Lounge-wood Natural is the ergonomic laptop table that meet style & comfort with the warmth of wood and the strength of the inox steel. 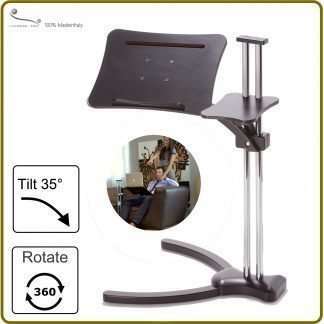 Fully adjustable, you can find always a good posture using laptop on sofa, armchair, couch, even on the bed. Inspired from the Masters of Italian Design. 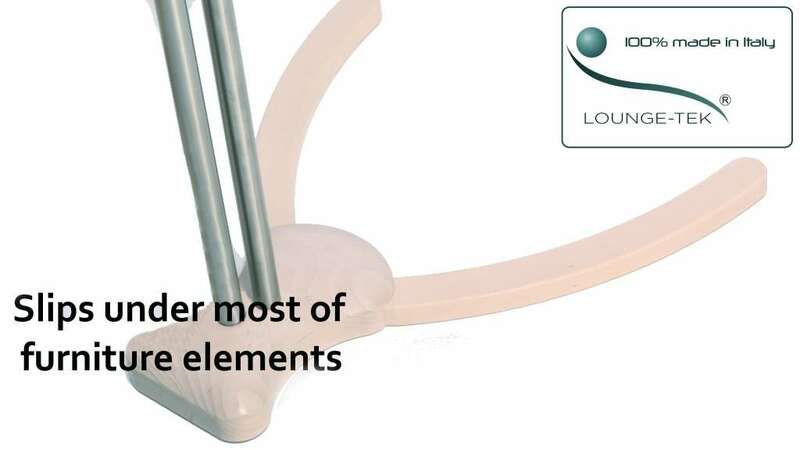 All the supports Lounge-tek have similar features but differ in the finishes in order to adapt lapdesks to any Style in furniture. 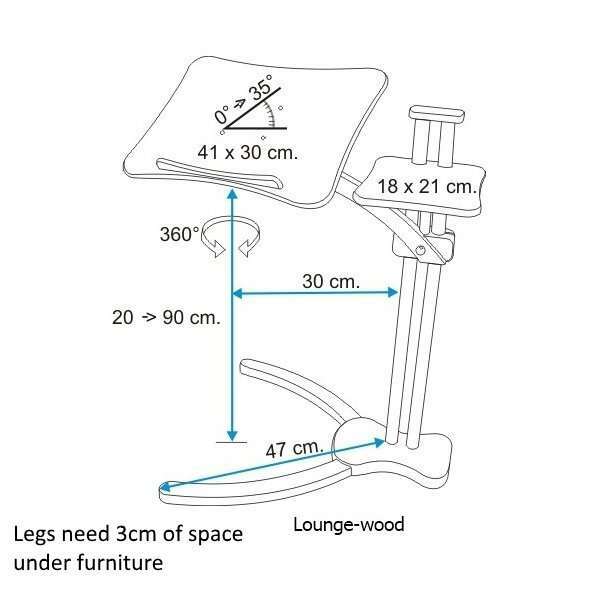 Lounge-wood has a high range of height regulation (20 to 90 cm, from the ground). 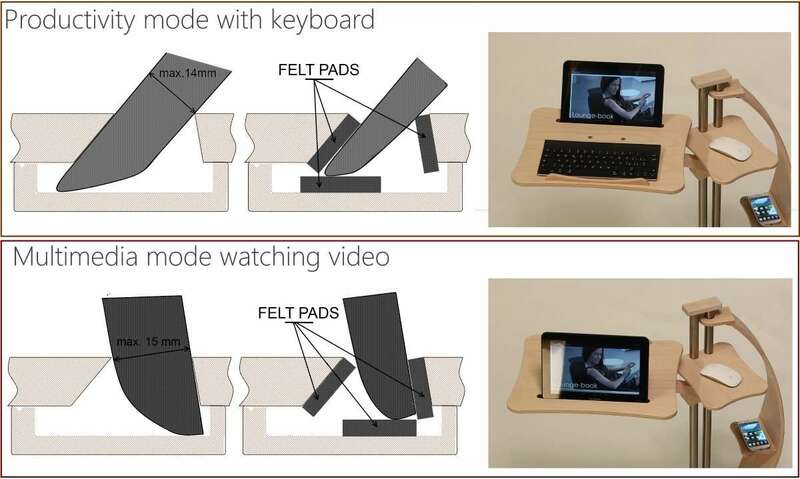 We suggest Lounge-wood if you want to use laptop on the American bed (higher) or a japanese Tatami (lower). 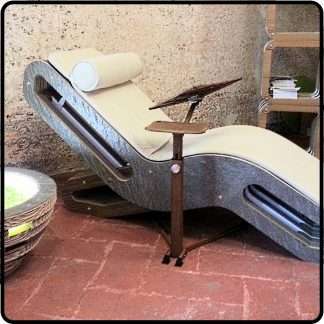 Lounge-wood slips easy under most of furniture elements, it require only 3 cm of space! 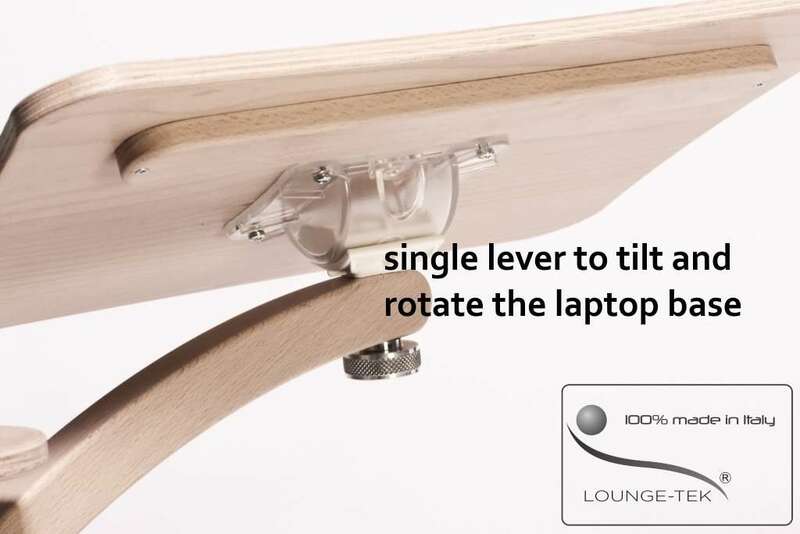 Lounge-wood does not need wheels to move, wheels reduce stabillity and need more space to slide under armchair, sofa, bed. 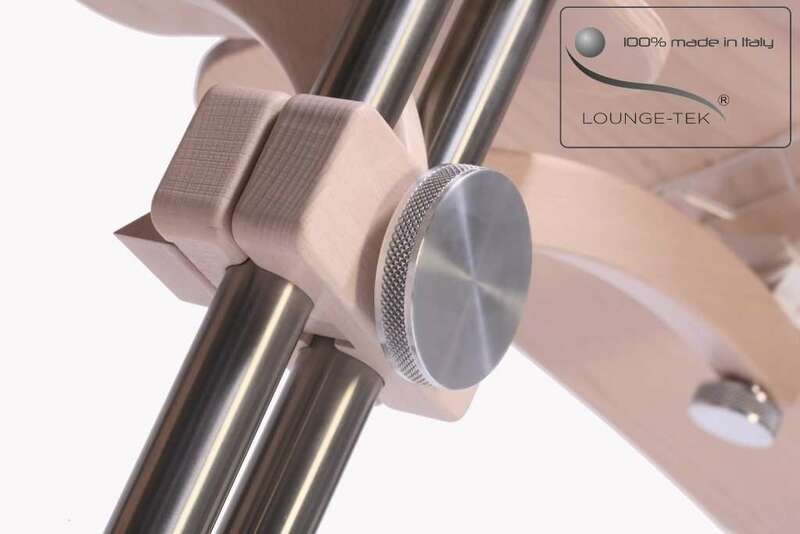 Lounge-wood is available in two versions: “Standard” and “Sail Version”. “Sail version” differs for the original “Smartphone Stand” inspired by a sail form. 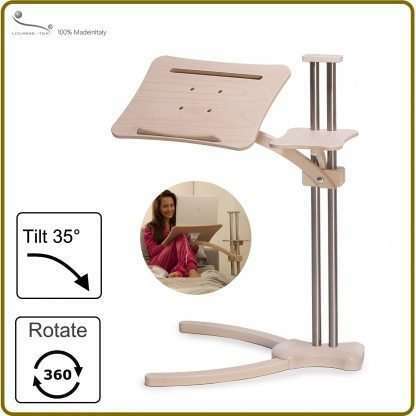 Sail element is made by the same wood of the laptop stand. 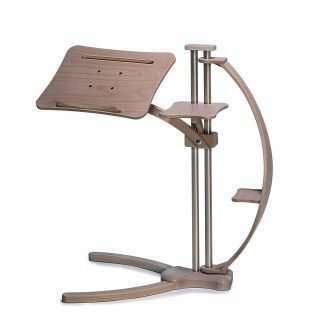 Metallic structure, is composed by two Inox Steel pipes with a satin effect finishing. Colour Neutral with natural Effect painted with a Zero Emission Water-based Varnish. The elegant knobs to adjust height, tilting, and rotation of the Laptop-Tray are handmade by aluminium on exclusive Design for Lounge-tek. 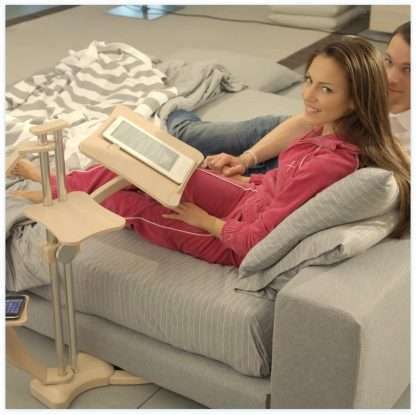 We suggest a Lounge-wood to support Laptops up to 18″ , max. weight of 5 kg. 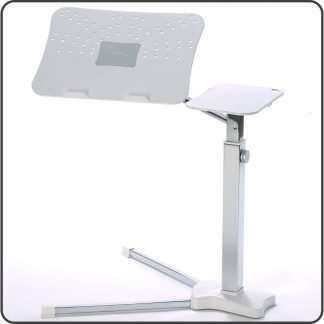 The original “one knob” regulation system, locks the laptop tray when you’ve finded the best position to use Laptop Comfortable and ergonomic. 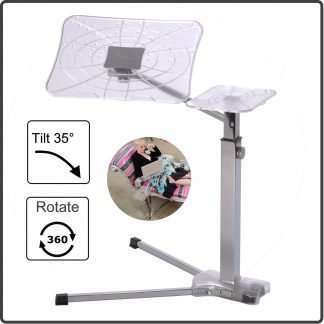 The laptop-tray can rotate 360° and tilt 35° in safety mode. For example you can use Lounge-wood on bed, either from the left or right side as a perfect bedside table. 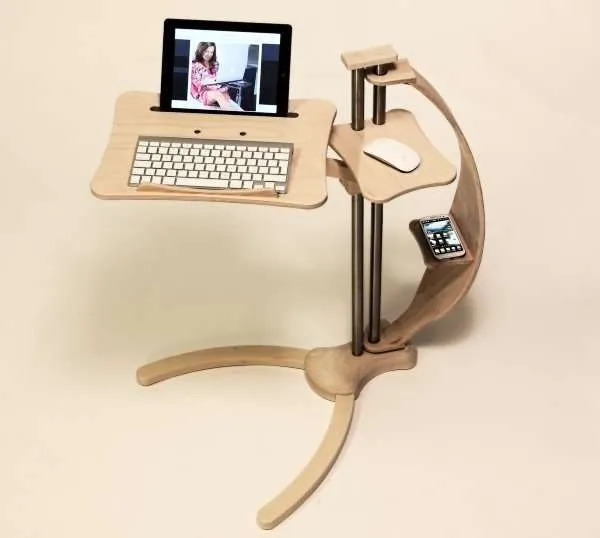 Save space and improve features of traditional furniture with millenials concepts of a digital lifestyle. Lounge-wood was born for laptops, in 2014, we have introduced some features to improve the user experience with Tablet and e-Book reader. 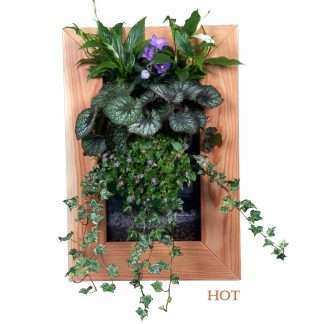 Product is provided with an easy mounting kit that minimize the costs and the environmental impact of logistics. 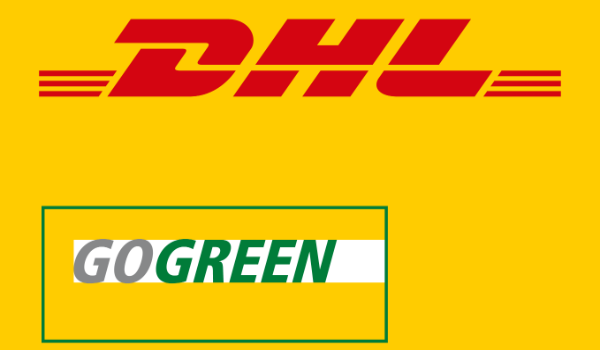 Package is made from recycled cardboard for an easy and correct disposal. 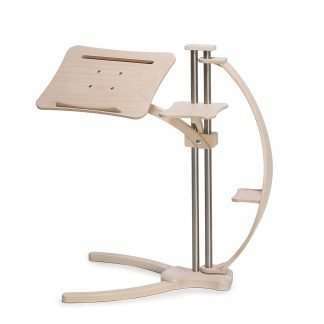 Beautiful notebook stand. Also, I did have to contact Lounge-Tek directly about a small problem. I cannot say enough good things about their customer service. It was excellent! I highly recommend this product and this company.